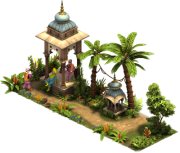 Set Buildings are special buildings, which are placed next to each other in order to give additional bonuses. 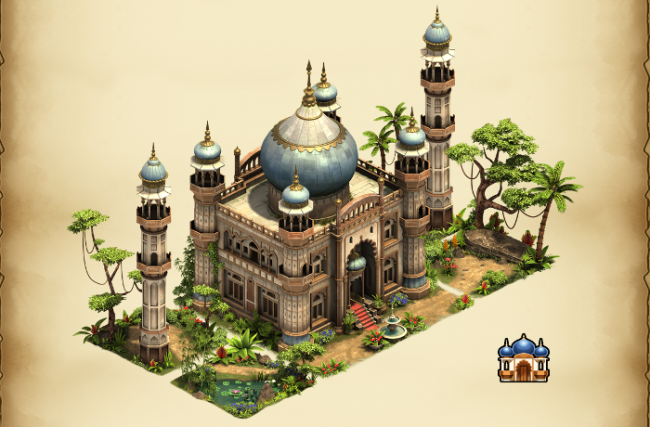 There a various building sets in the game. 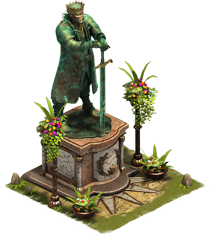 1 How do building sets work? 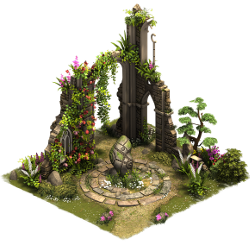 How do building sets work? 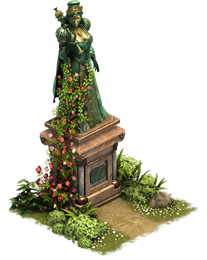 Each set building has a bonus on it's own. 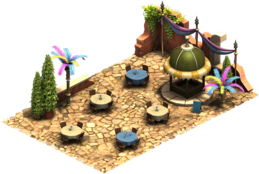 Being placed next to other set buildings of their kind, additional bonuses per building are added. It's important, that the buildings of the same set are adjacent to each other. 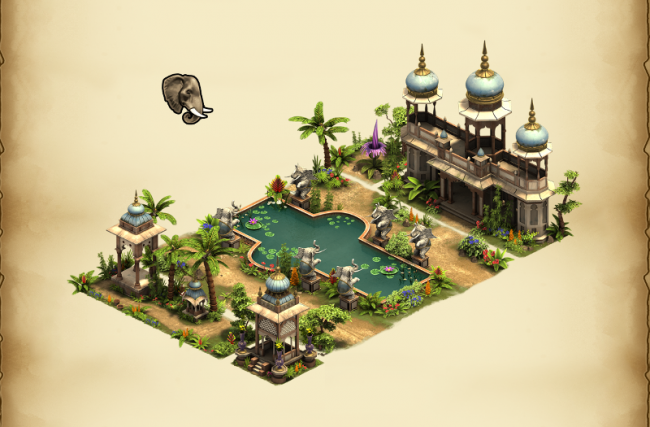 Combining set buildings of the Indian Palace Set with the Indian Fountain Set will not grant additional bonuses. 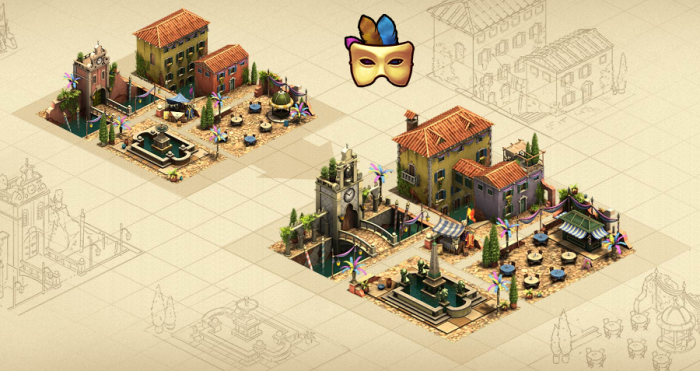 In order to get the bonus for 3 buidings for different buildings of the same set need to adjacent to each other. 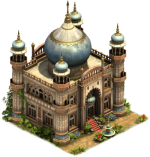 3 set buildings are directly connected to the Maharaja's Palace, but only 2 of them are from the Indian Palace Set. 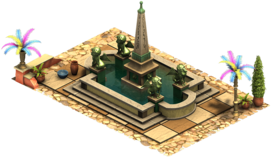 The third one is from another set, the Indian Fountain Set. 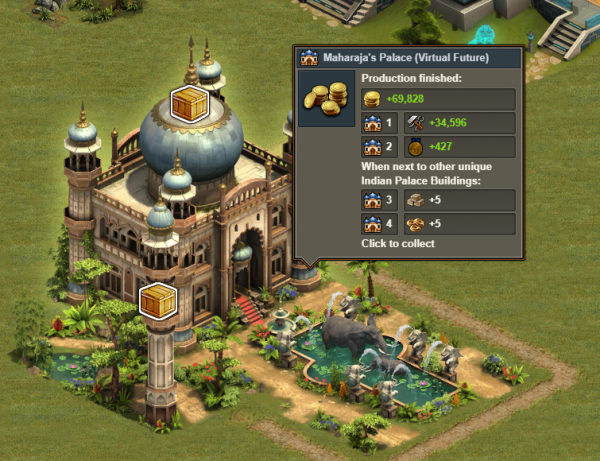 Therefore the bonus is only granted for 2 buildings. 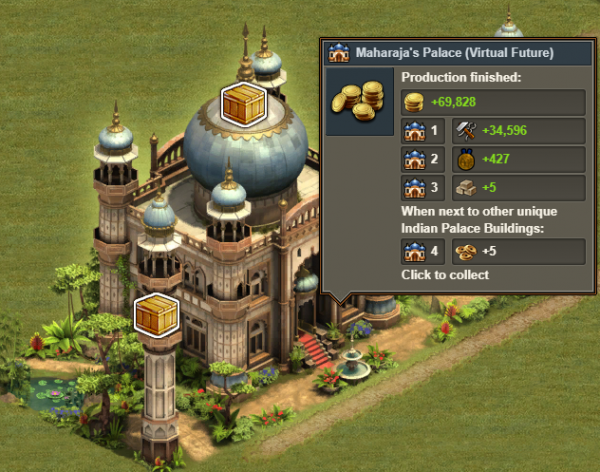 3 other, different set buildings of the same set, the Indian Palace Set are adjacent to the Maharaja's Palace. 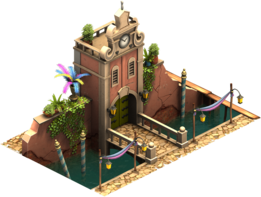 Therefore the bonus for 3 additional buildings was granted. 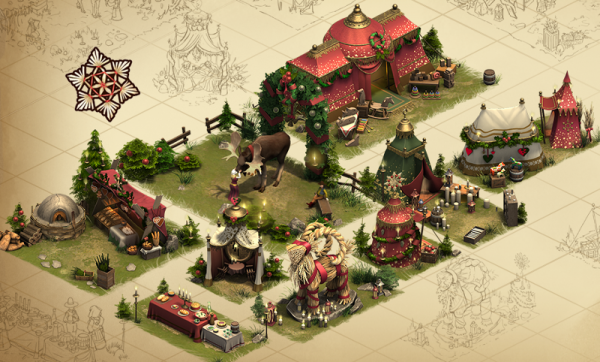 In order to know, which buildings belongs to which set, just look up the details of the building in the inventory or in the city. 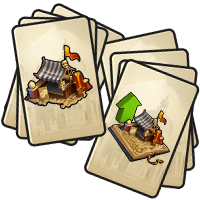 It is either directly mentioned to which set they belong, or marked with the building set icon, which is unique to each set. 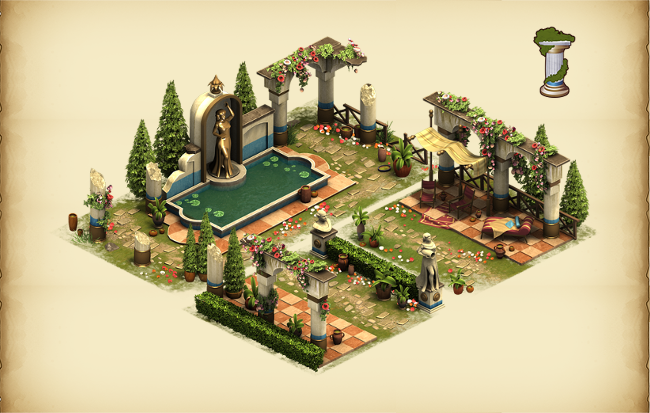 The Cherry Garden Set is a building set containing of 5 different buildings, which also be upgraded to a second level. 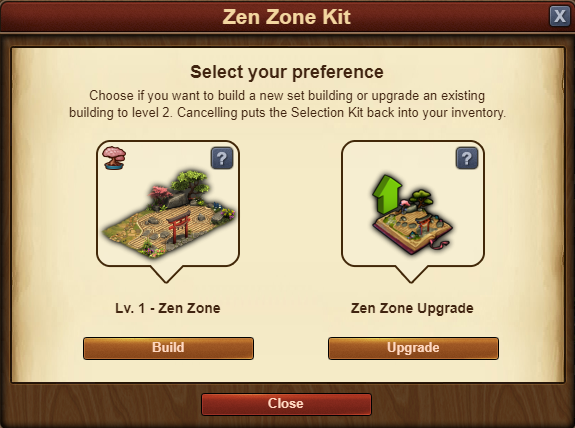 With the selection kit you can decide yourself, if you want to build the level 1 version of the building, or get the upgrade kit to bring it to level 2. 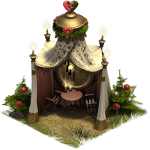 The Winter Village Set contains of 9 buildings, which can be placed next to each other in order to get additional bonuses! 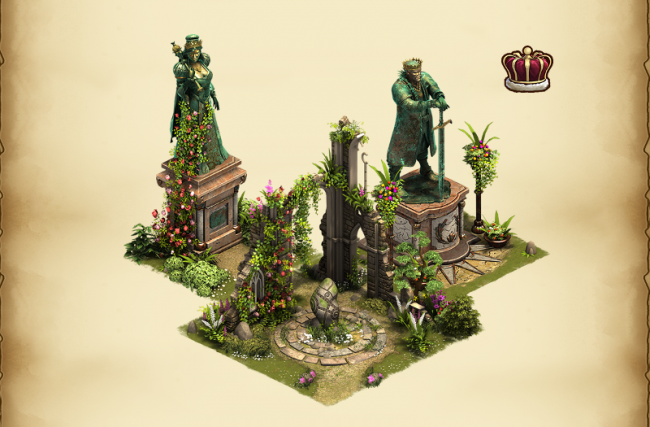 The Royal Garden Set contains of 3 buildings, which can be placed next to each other in order to get additional bonuses! 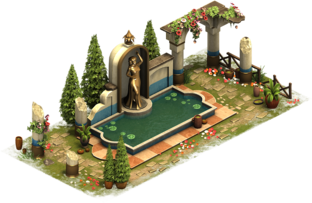 The Classical Garden Set contains of 3 buildings, which can be placed next to each other in order to get additional bonuses! 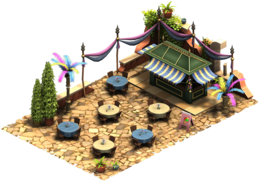 The Piazza Set is a building set containing of 5 different buildings that can also be upgraded to a second level. 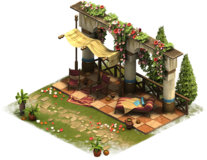 In order to bring one of the Piazza Set Buildings to the next level, you will need the unique upgrade kit for each building. 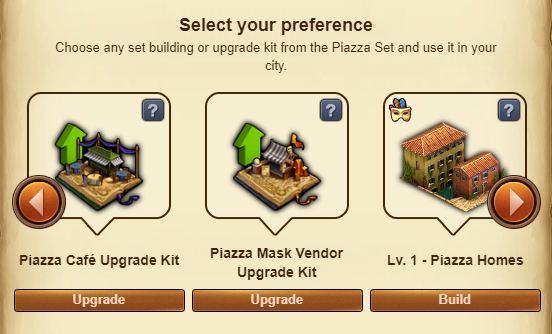 Alternatively, you can also use the Piazza Selection Kit to upgrade any of the set buildings. 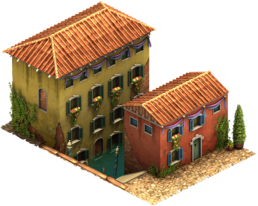 If you use the Piazza Selection Kit, a window will open that allows you to either upgrade one of your existing Piazza Set Buildings to Level 2 or build a new Level 1 Piazza Set Building. This page was last modified on 18 February 2019, at 17:32.